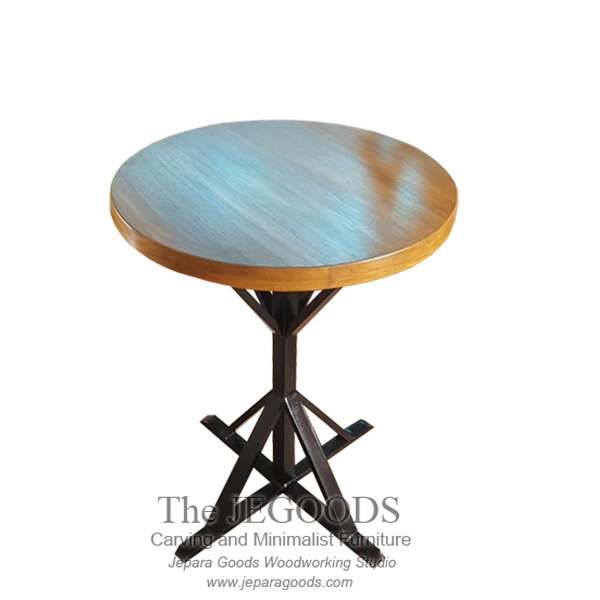 Simple table designed with iron combined with solid teak wood. This industrial table style can bring a wild look into your room. Ideal for small room or as commercial use such as cafe or restaurant with industrial vintage concept style. The top table is made of solid teak wood from Indonesia with traditional construction method finished by our wood craftsmen in Jepara, Central Java.